Many taxpayers will decide to participate in the OVDI based on a personal desire to come into compliance now that they are aware of the FBAR and other foreign account reporting requirements. Others recognize an opportunity to repatriate stagnant foreign funds into a domestic recessionary economy or may simply want to move on with their lives. The ability to properly advise a client regarding participation in the 2011 OVDI requires at least a general understanding of the potentially applicable foreign-related penalties for nonparticipants, the historic IRS and Department of Justice voluntary disclosure practice and policies and a healthy respect for the ongoing governmental international tax enforcement efforts within a shrinking global community. Also, the representative must be aware that relevant processes and procedures seem to change frequently. I know that some of the considerations have been addressed in the threads on other blogs, but this might be a good opportunity to collect them in the comments for benefit of future readers. This question is perhaps related to the question of whether a taxpayer in one of the OVDI programs should opt out and take the risk and consequences of an audit. I will solicit thoughts on that question in a later blog, So, I urge readers to focus here on the decision whether to join the OVDI initiative ab initio. I want to sound one cautionary note to any taxpayers who are not counseled by an experienced attorney in undergoing this analysis. Do not do it without the knowledge and experience of an experience attorney. This blog is not intended as a self help, do it your self guide in an area that is fraught with the opportunity for foot faults that have major consequences. Please post comments to the blog entry to which the comments relate. I just declined to approve a comment because it related to another blog entry. In this case, I put put the comment over on the other, relevant blog entry. But, quite frankly, in the future I will likely just decline the comment and let it go. Keep in mind that comments that are not relevant to the blog entry to which the comment is posted are distracting and often not as useful as they could be if posted to the relevant blog entry. Jack, thanks for posting the article. I'm in a situation where my decision keeps swinging between "Quiet Disclosure" & "OVDI". I unknowingly did not report interest from my foreign accounts for the years 2008 & 2009; nor did I submit FBAR forms. When I learned about my mistake, I did report the interest for year 2010 & will have to submit a FBAR form before June 30th of this year. The largest balance I had in my foreign account for year 2008 was around 68K. If I decide to go with OVDI, I pay a 12.5% penalty on it. I did read the Retigg/Kennealy article and did review the "Quiet Disclosure" penalties. (Pages 45-46 in the document). I should fall under the "Nonwillful violations under 250,000. But considering that I had two violations, my penalty through "Quiet Disclosure" might be at par with my OVDI penalty. So in my case, OVDI might be a better option, especially if that closes my case. I might appeal to the assigned agent to reduce the penalty especially considering my situation. Any thoughts? I would appreciate your response. 1) IRS agents have no authority to reduce penalties in the OVDI. The only way to ask for a reduced penalty is to exit the program. 3) The IRS has statutory authority to assign penalties for each violation. Each account represents a separate violation, so if you had multiple accounts, each could receive a separate penalty. In terms of hassle, there may be equal amounts in both. Outside OVDI, a full audit might be painful even for someone who has no issues. Within OVDI, 8 years of returns are required (outside, you might be able to get off with 3 in your case). In terms of attorney's costs, they may be more outside OVDI. In OVDI, for a simple case like yours, no attorney may be needed (here I break with Jack's advice, which is still valid for someone with criminal exposure). @jonf, so even if my violations were for years 2008 & 2009, do I still need to amend returns for years 2003-2007? Or did you mean, just submit the returns. You submit returns for the years you had undisclosed offshore income. If the accounts were not opened or if they were opened and properly reported as to income and FBAR there would be no need to submit 2003 - 2007. In 2009 I submitted just 2003 - 2007 although the program called for 2003 - 2008 because we were able to make a timely FBAR filing and an extended but timely income tax filing declaring the funds for 2008. Please do confirm this with an attorney. As to the main topic of this thread, I believe that OVDI is the only way to go. The IRS has stated that quiet disclosures will not give you the protections granted in OVDI on criminal prosecution as well as reduced penalties. They also have indicated that they are looking at amended returns and may select them for audit on these matters. This is a very risky way to go. Will they flag the amended returns? Will they prosecute? Will they impose maximum civil penalties? You will not know until the statute of limitations expire on these quiet filings. Are late FBARS gonna trigger an audit? I would think there is a good possibility of that. As to continuing to hide, its not a good situation. Clearly offshore accounts are a priority for the IRS. They have huge momentum in this area and soon FATCA will turbo charge the issue. I do not know if they will have another program after the 2011 OVDI but I would guess if they did the terms will downgrade again. In my opinion the best recourse is to solve the matter in the most certain way available which per the IRS is OVDI. Assume, for the same account opened in 2003 with max in 2005 at $100K. And all interest income were paid in US return for years from 2003 to 2007. However, the same account balance went down to $100, and the taxpayer was so lazy to report this account. What he should do ? There was tax violation for sure but with small amount money but no FBAR violation from 2008 to 2010. There was no tax violation but with FBAR violation from 2003 to 2007 (if max over 10K). We are talking the very same account. What the taxpayer should do ? If he files FBAR for the earlier years, then he will have to explain tax problem for the later years (it was just because so small, he never bothered to report).. Thanks anon. Basically, I never had more than $10,000 in my accounts for years 2003-2007. So no FBAR needed. And that is why, I don't need to disclose anything. Just want to make sure as I don't want to trigger an audit of my returns for years between 2003-2007 by submitting the returns when they are not required. CAN a CPA handle this OVDI? I thought CPA can represent clients only to IRS and not CI or DOJ. If case is simple, can I give it to CPAs to handle it as it might be cheaper? OR CPAs can not represent OVDI AT ALL even though they are willing to take on? For ij's case the taxpayer should file delinquent FBARs for years where the SOL is open, and attach a letter explaining that all income was paid on those accounts in those year, per IRS instructions. You can use a CPA with a proper power of attorney. There are benefits of using an attorney that a CPA does not have. Mainly legal expertise and client attorney priviledge. This could be a factor if a disclosure went real bad. Often CPA's are subcontracted(Kovel Ageement) to do the calculations by an attorney which protects priviledged information. By the way, CI is part of the IRS. They are the ones that screen the applications for OVDI for preliminary acceptance. As for DOJ, if they are involved likely you need an attorney cause they are the one who can lock you up. Thank you, in fact I have a situation like that. I started to pay offshore interets (as soon as I learned Canada stop withhold tax on US resident --not because OVDP 2009 -:). I never attached f1040sab to list -- i just added all US and with estimate offshore together, sometime I paid more and sometime i paid less but always way over the total US interest. But I did not pay any interets before 2007 as I thought it was paid already via withholding. Because they are the same accounts -- I have to be in OVDI to clean up (pay the FBAR penalty because never filed FBAR). There is one account in China that I opened in 2009. Now, I think I should exclude this account in FBAR base calculation because I could use the evidence in my original f1040 from 2008 to 2010 -- I did report offshore interet income --even without f1040ab. Very strange, I always thought f1040 is optional, and IRS never asked me for that. I may be out of line here. I know Jack has posted to this a number of times but here it goes. If you are doing OVDI or a Quiet Disclosure it is a very serious matter with potentially life altering repercussions. These are not circumstances where information posted on a blog should serve as guidance for your case. There are too many variables. Pay the money to talk to a specialist that has completely analyzed your case. Hopefully a tax attorney with experience in voluntary disclosure. Please forgive my intruding but I get the sense some folks are seeking legal advice from this blog which is not its purpose and is not a good thing. Also if you post too much information about your circumstances and are still not compliant, well that is potentially not good too. Use the blog to gain knowledge but do not use information from it to make what could be very serious decisions. Hire a lawyer! My attorney spent months conducting due dilligence on my situation prior to moving forward. "thin cat" like me alrady in OVDI and already submitted package to IRS even before joing this blog. No lawyer and no CPA. I am dealing with IRS all on my own, and provide my information and result here to support some points in the discussion. More because I want to expose how our Gov treat people inside OVDI. Folks who can read this blog can not be that stupid to use comments here as legal document. Well said friend. I hope you are successful in your disclosure and I admire your courage and desire to do the right thing. Honestly, my account was in a location out of the norm. My desire to make things right lead me to disclosure even prior to 2009 OVDP. The program was initiated in mid stream of my disclosure process so I was sucked in sort of speak. I too am an immigrant. I can tell you with certainty that getting the 906 brings much relief. To keep this post within the subject matter, given my circumstances I would do the noisy OVDI method again in lieu of a quiet disclosure. This is even though the penalties were high, the legal fees were quite substantial and the process took almost two years.Good luck to you for a quick and fair resolution. This is in response to the comment by "ij". I thought that the whole purpose of OVDI was to allow tax evaders to be honest, fix their taxes & get back into the system. This includes the willful as well as un-willful evaders too. The IRS keeps ranting that there won't be any severe punishment, especially if it was a non-willful violation (don't really know how they would prove that). Don't know about tax evaders who stacked millions in offshore accounts. But I'm sure there are ton of immigrants (Asian, Canadian, European) who just happen to inherit their offshore accounts when they came to US. Do you really expect IRS to deport them all with the help of INS especially after collecting the penalties? Thanks for responding my comment. I was just trying to list all the possible outcomes. To be honest with you, I am hopeful that I can get my RRSP excluded from penalty, so I would only have to be 12.5% penalty. The worst outcome (as far I can see) is to punish my RRSP and then I would end up to pay 25% penalty for all. I don't think anyone in OVDI will face prosecution if they make full/clean disclosure (of course small mistakes okay), certainly nobody will be deported. However, as immigrants, we all have to face this option if things go really bad. If that really happens, deportation might be a good thing -- what is worth to live in this country ? I just came to know about this 2011 OVDP yesterday, till that time I always thought there is no need to report my India accounts when I file US returns (I am on a work visa). Unluckily I have had HSBC account from long time now before even I moved to US. I have less than 75k in any given year including a home mortgage that I took. Never reported to IRS. What should I do? my tax preparer says nothing to worry, just send the filled up forms to IRS. But i dont think it will work. Any advice? Read this blog and talk to some lawyer, unfortunately there are not too many competent lawyers out there. I agree with Jack that there are essentially three choices. First, do nothing. Second, quiet disclosure. Third, formally entering the OVDI (a/k/a "noisy disclosure"). Let's dispense with the first choice, which is really a "hope I don't get caught" strategy. In this age of TIEs (Tax Information Exchange Agreements), MLATs (Mutual Legal Assistance Treaties), John Doe summonses, and the vast database of information the US government has compiled from 20,000 disclosures, the "hope I don't get caught" strategy would not give me much comfort if I had a foreign account. I'm not aware of any jurisdictions and foreign banks that are "under the radar". As for quiet disclosure, let's first ask if there was foreign income? If no foreign income, then it's possible that only retroactive FBARs need to be filed, with no penalties (OVDI FAQ 17). If there was undeclared foreign income, and a taxpayer amends tax returns (i.e., a "quiet disclosure") to show that foreign income, we know that there is a high chance that these amended returns will be flagged for audit. We also know that there is no de minimis income exception for the OVDI (OVDI FAQ 33), meaning that even a small amount of foreign income constitutes tax non-compliance. We also know that quiet disclosures have resulted in criminal prosecutions (see Jack's Schiavo post of May 19, below). Thus, I am not sure when a quiet disclosure would be advisable, given the low threshold of foreign income, high audit potential and risk of prosecution. There were comments above regarding whether a taxpayer should be represented by counsel, by a CPA or whether the taxpayer should be self-represented before the IRS. 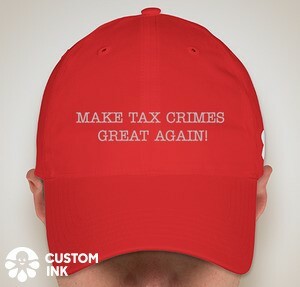 With the full disclosure that I am an attorney who represents taxpayers before the IRS in voluntary disclosures and other matters, I obviously have my own thoughts about this. I wrote an article about this, which readers are free to obtain from the Internet. I don't want to appear to self-promote, and so I will not link that piece here. If Jack determines that this post is not appropriate, by all means take it down, with my apologies. Anon asking about HSBC India account. It all depends on how long you have been in the US, and how long do you plan to stay here ? Do you intend to apply for a green card ? Firstly, its not just HSBC India, you need to report any other financial account and income you may have in India -- mutual fund, retirement account etc. If you've been here only 2 years or so, you are probably (NOT LEGAL ADVICE) OK filing amended returns and old FBARs. And be sure to comply going forward. You could even attach a note to old FBARs explaining that you just came here and were unaware of these rules (your preparer may be able to help you file a letter). Its unlikely that the IRS will assert any FBAR penalties. If you've been here more than 2 or so years, intend to apply for a green card or the like, then you should talk to a lawyer. anon@'May 24, 2011 10:52 AM' makes an excellent point. The IRS commissioner has said that the goal of the OVDI is to bring taxpayers and assets back into the system. Certainly revoking naturalization or green card status for someone in the OVDI would totally defeat that purpose. Talk to a Tax Attorney. HSBC India is on the hot seat given recent events including the serving of a John Doe summons targeting Indian accounts. I disagree with your tax preparer. Unfiled Fbars along with unreported offshore income are serious problems for U.S. tax persons. You need to quickly have your situation reviewed by someone who deals with these matters. If in fact you are out of compliance, there is action you can take to minimize risk of prosection and to reduce penalties. If you join OVDI at least you get the 12.5% penalty if the accounts never exceeded 75k. The deadline to join OVDI and have a complete submission is August 31, 2011. Go see a tax lawyer. We just saw a post where an individual just figured out they have offshore issues. I would guess that this may continue to happen. Given the rigid structure of 2011 OVDI and the August deadline to have everything in including payment, do you have any thoughts as to what may happen if indiviuals start (pre clearance and the letter) but can not complete all the other aspects by August 31, 2011. At this point I would think that accounts from this location are at extremely high risk. Has HSBC turned over client information yet? If so applications for disclosure could be found untimely thus face very harsh consequences including criminal prosecution and the full gambit of penalties. In this senario I think a very prompt pre clearance check is needed followed by the submission letter assuming the pre clearance letter is cleared for OVDI. This also assumes a quiet disclosure is a foregone conclusion. Unlike UBS where the headlines kind of detailed when the names would be turned over, information on HSBC India seems to be limited. On the other hand if they already have your information, what do you lose by coming forward? Maybe IRS will give a little break for stepping up. Thanks for the post about your article. Readers wishing to see the article can find it on Asher's web site which can be accessed by clicking on his name on his comments in this blog. The web site has other helpful material as well. In response to your comment of 7:26 am, I have no insight as to whether the IRS will be less rigid than the announcement appears with respect to those who attempt in good faith to provide a complete package by 8/31 and just cannot do so for some reason. I do think that, barring most unusual characteristics for a particular case, they will qualify for the major benefit of the OVDI -- no criminal prosecution. For those whom the IRS says did not meet the deadline (whether it uses a rigid test or a more flexible test for making the determination), the practical consequence may be some additional civil penalty, say 30% for the in lieu of penalty rather than 25%. The longest lead time for anyone contemplating OVDI is likely to be getting foreign bank account/asset information, especially on closed accounts. I would suggest asking immediatedly for that information. Also, if you need tax preparers -- these might get increasingly busy closer to the deadline. If you're planning to do it yourself (which I still think is feasible for small accounts, low criminal exposure), that is not an issue. I would suspect that getting everything you can in before the deadline, with a BIG CHECK for estimated taxes and penalties might suffice for the IRS assuming you got everything else in as quickly as possible. I submitted my package 6 weeks ago -- never heard back from IRS. A big check was cashed by IRS --indicating the pacakge arrived. Just a few days ago, I called hotline asking what does it mean "a complete submission?" I also raised my concern that IRS may be very late to respond me with "your submission was not complete". The agent said "as long as you have all the list forms filled, and all the disclosure made, it is complete (he joked about don't make mistake like missing aonther 5 bank accounts". I think DIY should be fine, even befor you get full bank statements, you can still do the estimate interets earning -- and do the submission without full statements in hands. IRS does not ask bank statemtns for under 500K. I would agree with JONF that gettting statements from the bank is the most important thing as all accounts have to be disclosed on the disclosure letter and EVERYTNING has to be disclosed in the full packet that goes in. A preclearance going forward is the first thing to be done, so that you can get your foot in the door and also find out if you are eligible. Thanks a lot to everyone who responded to my issue-HSBC India accounts. Now I feel more comfortable, I am going to search for a lawyer today & start the process asap. I feel ok to pay the 12.5% given my case, but it is my hard earned income. Not had any additional income, I saved it for buying a home back home. Unfortunately things are not going in my way I guess..I know the tax laws here are way different than India or any other country. Can any one suggest if I have to go through a Tax Lawyer or CPA? 1. Unless your case has wrinkles, the choice between an attorney and an accountant is probably not critical. The critical question in each case is whether the professional is experienced in this area of practice. 2. If you will email me off line and advise where you live, I can probably recommend one or more attorneys in your geographic area who do this type of work. I don't know accountants as well as I know attorneys in this specialty. I do recommend that you have a local professional where possible. if you are on 12.5% penalty level, you are just too thin -:). Fat cats need CPA/Tax lawyer to make sure they can get better deal with IRS. For you, it is just simple DIY. I'm not sure what city you are in but it may be hard to find a CPA who has experience with OVDI applications. It is even hard to find a good lawyer who may have represented OVDI clients. If you are not particular about physically meeting the lawyer/CPA, you should be able to find one in a different city. Though, I do not know the reputation of a random CPA found on google, I would advise calling them and talking to them to get a feel of what is involved. Typically, after talking to the CPA (especially if you have done enough research yourself), you should be able to make a judgement on whether the CPA is experienced enough or not. E.g. I called few CPAs who said they would help but then advised me "not to do OVDI" considering that my case was simple (2 FBAR violations + $3000 back taxes). But after doing research, I have decided to go with OVDI to end this for all. Might do it myself as it is straight-forward. ij, you mentioned about that you submitted your package 6 weeks back & you spoke to someone who said your disclosure was complete. Are they talking about just your application or your entire OVDI process. Will they still review your case or reopen if after few months. I thought the IRS is supposed to officially inform you if you are now "out of trouble" or "one of the good guys". again. But I will have to report the interest earned. As part of OVDI, is it ok to put approximate interest amount? & send it to IRS if it is higher than the original estimate? Thanks in advance. You can refer to me as ANON777 when responding. You will know that your process is complete after you get a final 906 closing agreement. IRS will send you an unsigned closing agreement for your review and signature. They send 3 copies. You sign them and return them to IRS. The revenue agent, a reviewer and a manager sign them and return one executed copy to you for your records. At this point you are done. At least thats how it was for me in the 2009 deal. The executed 906 is the conclusion. Talk to a tax professional with Voluntary Disclosure experience. Your circumstances sound a little unusual to me. No FBAR violation because of the 10k limitation but minimal undeclared offshore income for a number of years. I would guess that most have both violations or at least the FBAR violation. The good news is the amounts are rather small so hopefully you can clean it up without draining the bank. As for estimating interest, talk to a pro or even check with the hotline from a pay phone!I have no clue what kind of penalty may be asserted for no FBAR violation and minimal undeclared interest. Could this be a quiet situation? Talk to a tax attorney. Complete submission means you submit all the docs needed by Aug. 31, 2011, this OVDI deadline. I am far from getting 906. I even have not been assigned an IRS agent yet. I just did all my calculation on tax due from 2003-2010 and FBAR penalty. I am sure it is not complete (if it means final) but it is all what I could do. There is a ruling from IRS if I should include my RRSP in the tax calculation or not --it very much depends on if they let me to back file f8891. That is why I am in such a rush to submit my package -- so I would have enough time to respond any correction. For years, I have been doing my returns myself, and I don't think I should hire CPA/lawyer to do this OVDI. The amount is not that high but documents are really heavy (mutual funds distribute tiny small amount every three months in my RRSP and non-RRSP). I guess it will be at least 400 pages documents. Would be smart to hire CPA to calculate in pennies while paying in dollars ? I don't think so.. I welcome IRS to audit (correct) my filing, I can simpy send these 400 pages docs, "Hi, you are hired!" I am in OVDI. Anyone have any idea if a check can be submitted to stop interest while I prepare amended returns ? Its not a lot of money, but no reason to give up interest on it. I also expect(ed) a refund this year. Can that be used to offset any of this paymenet and stop the interest clock early ? Say I owed 10K in back taxes, interest and penalty as of December 31st for previous years after amending ,and found that I had a refund due (even with overseas income) of 5K for 2010, can I then assume that only 5K is left for interest purposes from Jan 1st (or Is it april 18th or whatever the due date was ?). In the 2011 OVDI what actually triggers the in lieu of penalty? I would guess is C) and D), but item C), failure to file FBARs is probably crucial. Unreported offshore income should actually be an issue only if the sum is very large (which would normally trigger C as well) or fraud was involved. Good points, yet it does raise questions. For those wanting to exit the program, is the IRS following it's own IRM policy manual and using a discretionary penalty application that is more reasonable in any given de minimus cases IE, not absurd for more minor FBAR offenders. We are in the 2009 OVDI and considering an exit as we were immigrant/expat types who were not engaged in the type of activity that the IRS media machine says it was after in the first place. We were not hiding funds in secret offshore accounts. We had more benign failures to understand the rules and regs like a lot of other normal expat or immigrant folks whose comments here indicate they are wondering what to do for the 2011 OVDI. We did the OVDI as it seemed the right thing to do at the time, however, it did contain some surprises, and agents really do not have discretion, I can confirm that. Unfortunately, once you are in the OVDI system, you will become by catch of a program that cast a wide net but was marketed as going after a specific target "The Rich hiding money in Secret Swiss Accounts". After a year and ½ we now feel like collateral damage from an OVDI drone program, or Minnows about to be ground as fertilizer in a processing plant designed to catch Whales. We are in what I consider a de minimus tax and failure category, but the 2009 and 2011 OVDI penalty can be calculated at an "absurd" level, if includes your retirement home in the highest aggregate balance just because you had some minor rental income. If you are considering the 2011 program look carefully at what you are getting yourself into. Be sure you don't get caught by surprise like we did on this home rental issue. Including ones home into the penalty calculation for an asset that wasn't even required to be reported on the FBAR seems totally Over-the-Top to us. This type of penalty certainly was not the intention of Congress when it enacted the FBAR statutes, and it can really hit you hard!!! Get good legal advice about your exposure there. We have a good sympathetic IRS agent whose hands are tied, (no discretion allowed) and is waiting for Opt Out instructions from Pennsylvania Ave. We understand others, in a our category, are waiting to find out whether it makes sense for them to exit too. It is not clear how much discretion, if any, will be applied outside the program. So, it is real hard to know whether to exit or not if IRS agents don't know how they would handle your application to Opt Out. You don't want to dive into an opaque pool of water that might be filled with crocodiles. The BIG question is: Will past discretionary polices as provided for in the IRM 4.26.14 apply for FBAR penalty application outside the OVDI?? My reading of "Statutes" language implies they should allow discretionary consideration but as "jonf" states above: "Its not clear whether the mitigation guidelines are valid any more (outside OVDI)". However, the Statutes for FBAR penalties speak in terms of "May" not "Shall" or "Will" when it comes to what penalties apply, so it seems that there should be discretion in penalty application as provided for in the IRM 4.26.14. Also, the IRM is pretty specific that discretion is an ”expectation”, and IRS legal council has given strong advice in the past to avoid “absurd” penalties. Agents are reminded that the goal is compliance going forward, not just punitive penalties. With that long preface, I am wondering if anyone knows how the IRS is currently handling its discretionary penalty powers outside of the OVDIs? Is there some practical experience that might be helpful? Hi All, I had offshore accounts since 2003 since I wanted to gift money to my parents but they were not able to open accounts in their name. I closed my accounts that gave money to my parents in 2009. I wasn't aware of declaring the interest income on those accounts in US as they were tax free accounts back home. I have a court paper signed in 2003 which says that the money in accounts is for gift to my parents and they can withdraw & use the money they want. Would IRS consider the fact that I gave all my money to parents & did not use it for my benefit as an excuse for lesser penalties? Before the money was given to your parents, it was your money. So you should report interest income from the account. You may also have to pay gift tax (if over 13K/year). to Anon of "May 23, 2011 11:16 AM"..
2. fail to report offshore income. You need both above two "offences" to join OVDI for "less" penalty. If your offshore assets are not subject to FBAR (such as retirement home), there is no need to join OVDI in the first place. If you have offshore acounts (over 10K, so you failed to file FBAR) but the value is insignificant compared to your retirement home (which you failed to report rental income), then OVDI is not a good choice. You should do normal VD, and FBAR penalty will be only applied to your offshore accounts -- not to your rental home. I assume the only penalty on your rental home would be back tax plus interest and 20% accuracy. Gift tax...Does it apply if you give money to your parents who are not US citizens? Could you advise on the suitable options for those people who were working in US for some years in past , have returned back to their native country , neither were green card holders or acquired US citizenship and realized that they were out of compliance after reading about this issue in news recently ? Like most of the immigrants , they had local bank accounts to remit money for their families back home and were advised wrongly by their tax preparers ? Gifts that are not more than the annual exclusion for the calendar year (13K since 2009). I don't think giving non-US citizen gift will be exempted -- What if Bill Gates decided to give all his money to Taliban ? I think IRS should impose much high tax for gift to non US citizen because money will be gone to "offshore" forever!! Wondering what happens in situation like this. Someone owned a joint account with a relative back home (with non-us person). Then that relative deposits a large sum (from legitimate source) into the account and withdraws in few months, just temporarily parking the money. The US person only contributed a small amount to the account but now discovers he failed to report interest (tiny amount) and file FBAR. Now, the US-person is slapped with this 25% penalty on the highest balance on the account. What remedy does a person in this situation have ? Anyone has any idea/opinion/advice ? As for family and relatives, only gift to your spouse who is a US person is exempted from tax. Reply to Anonymous on 5/27/11 at 1:;49 pm. This is a tough question. I think the answer from a legal perspective -- please understand that I am a lawyer -- is that this person is not differentiated from the U.S. citizen currently residing in the U.S. And, as a lawyer I cannot advise as to the either the audit lottery -- that is the chances of the IRS even discovering you much less having the resources to, in a cost effective way, squeeze something from you. Now, I think it is fair to state that the IRS is offering two incentives for persons who have failed in reporting with respect to offshore financial accounts or even assets. The first is assurance of no criminal prosecution. Criminal prosecution for the person of the type you describes is not impossible but highly improbably. (Facts, however, tend to be far more highly nuanced than you summarize them and the more nuanced facts could change that conclusion.) The second is a real cap on the worst case amount of the civil penalties that could apply. For a person of the type described, the subtle question not addressed in the simplified facts is whether the IRS would otherwise become aware of the offshore financial accounts and have the case, the resources and the incentive to pursue. In a way, that is the same issue presented for U.S. citizens residing in the U.S. Many of them have fact patterns that really do not expose them to high risk that, even if the IRS discovered the facts, the IRS could squeeze out more dollars than inside the program. So, basically, this is a nonanswer -- or at least nonanswer in terms of anything practical that will get you to the solution. I do suggest that you talk to a lawyer. The entire program is nuanced with potential twists and turns. In fairness to IRS how else would you implement a program intended to bring many noncompliant people back into compliance without expending resources to micro analyze each case while preserving your reputation for harsh enforcement of the tax laws? Maybe a program like the Italian amnesty(low flat fee based on percent of assets) but that program made the Italians look like pushovers. One of the most confounding aspects of the IRS programs is that those who were out of compliance for longer periods of time received greater relief by the limited look back. They benefited from more years of untaxed income relative to those that had only minimal years of noncompliance while settling under the same penalty mechanism in terms of dollar exposure. In a way it is more rewarding for the more egregious cases as long as they qualified for the program. You are correct that any program to work in this environment cannot deal with nuance that may be important to individual taxpayers. I disagree with your suggestion that the IRS wants to present itself as a harsh enforcer of the U.S. tax laws. I think the IRS wants to be a fair enforcer. The problem is both the administrative complexity that simpler rules avoid and the fact that the IRS is dealing with many constituencies with skin in this game. Not only are the direct taxpayers involved but all of the U.S. taxpayers who have suffered (both in dollars and perception of fairness) because of what looks like systemic abuse of offshore accounts. As you note, dealing with complexity in this environment would not be administrable and in that sense would not be fair. I cannot say that the IRS program strikes the perfect balance, but I do think that it is in the range of fairness given all of the constituencies involved. This does not mean that I don't empathize with individual taxpayers who seem to be treated more harshly than other individual taxpayers, but that phenomenon is inherent in any tax system in many contexts beyond foreign financial accounts. Great comment Jack. The IRS may want to have a reputation as fair enforcer of the tax laws but I can tell you from my perception and in my circle of life their reputation is seen as harsh. No body wants issues with IRS because thay can turn your life upside down. In the end people should focus on the major benefits of OVDP/OVDI. No prosecution and a break on what could be even bigger penalties based on the law. To focus on the outcome based on nuance and comparison to others promotes negative feelings. I went into OVDP hoping for the best but expecting the worst. I got the worst based on 2009 but I am still pleased its done and I sleep well at night. To others my advice again is to budget for the big penalty and submit for what makes sense based on your facts knowing that getting the minimum sanctions in the program is a challenge. To those who are in the programs, the revolving door will eventually get to the opening and you will walk out a better person. No pain, no gain. Best of luck to all. Gift Tax: Do we need to pay actual gift taxes if we transfer more than $13k to our parents back home..I saw that there is some thing about life time exclusion i.e. we can deduct the amount of gift from a lifetime max allowed...In that case, do we need to pay actual gift tax or just file a gift tax form 709. Pls advise. If you have ownership of the account from 2003 to 2009 and your parents only had a power of attorney on it, then under OVDI, you would definitely be subject to a 25% penalty. No question about that. Under traditional voluntary disclosure, its possible that you could fare somewhat better, but I doubt it, based entirely on your brief note. after 6 years ? Were required US returns filed ? In fact, if I had the sort of nasty, suspicious mind that an IRS agent does, I might even start using words like 'sham', 'related party transaction', 'parking assets with nominee', 'beneficial control'. I might use even uglier words like 'wilfulness'. My feeling is that the IRS (outside OVDI) will scrutinize transactions in the last 2 years (after the offshore account initiative received a lot of news) with particular care. Hi all, Some one mentioned in the post above to go into OVDP expecting the worst penalty but hoping for the best. I thought the best reason to go into OVDI is a person knows the exact penalty (25%, back tax+interest+20% accuracy). Doesn't a person has to send the total check as a part of OVDI application? What other harsh penalties can be there in addition to these. Hi All, I am a Canadian citizen and got a DUI charge last year in US. Will that cause an issue with my OVDI pre-clearance? Send IRS the amount what you hope "the best" and prepare what IRS may come back to ask for "the worst". Was your trunk full of cash while crossing the border when you were arrested on DUI ? I don't think anything other than IRS or financial related investigation/charge will cause your OVDI pre-clearance in trouble. I can't see why a DUI would matter. Its not even a federal charge. Ij, do u have a spreadsheet to calc back tax + interest? The worst if you qualify and complete the disclosure is the 25% in lieu of penalty on the high balance. The best is the 5% penalty but based on feedback of others it is very difficult to get. The 12.5% penalty is if your accounts never exceeded the 75k limit. Of course you pay backtaxes, interest and a 20% of backtax accuracy penalty as well. I do, and it is an xsl file that you only need to fill each year of tax due from 2003 to 2010. It is close to the commercial software tax calculator but a bit overly estimate (5% more)... you may ba able to correct them by checking each month/year interest rate posted by IRS. had legacy assets in my name (stocks) which appreciated significantly since i moved to US and i sold them. My close relative paid for stocks though the stocks are in my name since i worked for the company that issued the stocks. The funds are tax complaint in the home country since taxes were paid but since the currency is not repatriable i had left the funds in the home country . The account is in joint names with the close relative. He manages all transactions etc,. investing in low yielding Govt bonds that the country approves for Capital Gains Tax remission. Significant capital gains and truly unique circumstances. under similar circumstances but would like to hear an opinion on how to move forward. Jack, do we have any statistics on how many OVDP 2009 cases were closed? Also, the ones that are open, are they the complex ones? Also, anyone knows if there is a timeline within which the IRS has to resolve a case? If a taxpayer in US has paid all taxes (filled out form 1040) and has transferred post-tax money (say ~ $800K over 5 years starting say 2005) to a foreign country the income from which has also been fully tax-paid in that country, but that person did not report these foreign accounts (with no intent to evade taxes but rather as a stupid mistake to save paperwork), what kind of penalties would be imposed on say the $800K in foreign accounts and say a $50K average annual income in the foreign country (on which taxes have been paid in that country)? Would it be 25% of $800K plus taxes and interest on $100K? A taxpayer has one offshore account that was not disclosed. The balance in the offshore account only exceeded $10,000 for years 2008 & 2009. But there was minimal interest (less than $100) for years 2003-2007. 1. Since the taxpayer will be not be filing FBAR forms for years 2003 to 2007, is it necessary for the taxpayer to amend the returns for those years (2003-2007), even though it is beyond the 3 year limit imposed by IRS to correct returns & owe back taxes? 2. Is it necessary to include the CD balance when calculating largest aggregate balance? Was there any income from offshore that was not reported to and taxed by the United States? Did you check the box on form 1040 indicating you had a foreign account? Did you file FBAR every year the account was over 10k? If you answer yes to the first and no to the second and third you likely would get the 25% of high balance ($200k) in lieu of penalty in the OVDI. Plus you would owe back tax on the earnings plus interest and a 20% accuracy penalty on the taxes. I checked 'No' on the foreign account box on 1040 and all the funds transferred from US was post tax income. All earnings in the foreign country were shown on that country's tax return. So I would owe a 25% penalty on account balances that are formed of tax paid income? If someone had CDs, then that person did not have just one offshore account. CDs are offshore accounts and will be included in penalty base. Yes, you would owe 25% on all offshore account balances. For immigrants, OVDI is a big time rip off by IRS. If you decide to make this country as your new home, it is a right thing to do.. if you just say this country for a few years -- you should consider this example.. So after numerous discussions, we now know that the 2011 OVDI is harsh on immigrants who were unaware of the FBAR requirements & reporting of foreign accounts that were tax compliant in their host country. Question is - did IRS take into account that aspect? Most of the verbage in OVDI indicates that the IRS is really after big fish & real tax evaders, who intentionally hid money offshore with help of experts who knew the loopholes. I mean, it should be east for IRS to figure out who is a real cheat. Wondering if "Quiet Disclosure" is still an option for those immigrants who did everything right as far as their host country tax laws are concerned. And if they do a QD, will IRS be strict on them as they are on the real tax cheaters? Just trying to keep this discussion in the context of the topic - is "Quiet Disclosure" still an option for some? My husband and I had been living overseas for the last 6 years. We erroneously filed our US tax returns as residents. We also filed tax returns in the country where we were residing. We did transfer funds from US to our country of residence and did not show existence of foreign banks on the US tax return. If we amend our returns and file them as 'non residents', would we still be liable for non filing of FBARs? This is with respect to the comment posted 10 minutes ago. I forgot to add that we are both US citizens. ij... Actually for immigrants and Expats, the OVDI is a misdirected penalty which was aimed at a different group of tax cheats, but you have become the collateral damage. Sorry, but no one from IRS headquarters seems to get that, or worse yet, get it but don't really care. They are in the revenue collection racket, and that trumps everything. In their bizzaro world of minutia rules and regs and endless legal technicalities, all are willful tax cheats it seems. All deserve the same penalty under a so called OVDI "fairness" doctrine. It is a sad situation, but the US needs your money for deficit reduction. No discretion allowed to adjust for nuanced realities. Your mistake was committing the wrong type of failure. If you had just failed to pay some SS and medicare taxes while working for the World bank, or forgot some Capital gains taxes you should have reported, you could have just amended your returns and might have even escaped the 20% accuracy penalty as someone else we all know. Then you could write a book, called "Zen and the Art of Income Tax Compliance." It would be a best seller. Hi, 25% of highest aggregate balance for some immigrants can impact all of their financial plans in near future. In DOJ convictions, we read that US citizens must file FBARs. Now, Non-US citizens who want to return to their country soon and were not aware about these laws until now are also being looked in the same way as people who cheated & transferred per-tax money to outside US. This to me is not a fair doctrine but a little unfair. In such cases, 20% accuracy penalty is fair enough to let people learn a lesson. In my opinion, 25% FBAR should be for those folks who never paid tax on the offshore amounts. Hi, can you file your returns as Non-residents even if you are a US citizen leavign abroad? For me, I have paid tax either to the local/(offshore country) or IRS for all these years. Had I filed them and claimed with foregin credit -- I would have owed zero tax to IRS. Regarless, I am okay with OVDI penalty but I would strongly resent penalty on my retirement plan which Can/US has a treaty for deferal tax -- what I missed was to make an election when I became US person. IRS is certanily losing "moral authority" -- Gov for the people..
What a poor policy can bring to this country ? HATRATE!!! -- in my previous comment -- a native US citizen could have such a feeling -- let alone -- immigrants..
IRS may gain the money -- the Gov will lose big -- the confidence and trust from the people. --- As far as immigrants go, I would say that someone who has been in another country for 7-8 years as a permanent resident (or citizen) does have an obligation to learn the tax rules of that country. Most (if not all) countries tax their citizens and residents on worldwide income. The FBAR filing form is obscure, but the requirement to report worldwide income should be clear, and the requirement on schedule B to check for foreign accounts should not be that obscure. Certainly an educated, long time immigrant should know about these rules and should follow them. I can well see giving immigrants a step-up in basis on accounts to the time they first filed a 1040 (i.e. penalty would be only on money added since then, or making them eligible for the 5% penalty if they opened the account when a non US resident and met other conditions of that penalty level. Call me a skeptic, but I find it a little hard to believe that most long time resident well educated immigrants were totally unaware of these rules, especially after 2008. No, I'm not saying these were flagrant tax cheats, rather people who engaged in willful blindness. Yes, the penalties are harsh in comparison to the penalties if you had the same amount of unreported income in the US. This is unfair, but there is a considerable amount of unfairness in the US tax code both in terms of provisions and in terms of penalties. If someone has just one or two years of non compliance, and relatively small accounts, I would say that quiet disclosure is definitely an option. Other than that, the IRS will almost certainly notice a silent disclosure (how many delinquent FBARs and amended returns with Schedule B foreign account question checked do they get ?). If 3-6 old FBARs turn up, you don't think they are going to notice ? Even for people who have little criminal exposure, the civil penalties are draconian. Even the non willful penalties are high for a small account. So its risky to go with silent exposure. If someone can take the uncertainty for several years, then they could try it. $9362.50 if you have $74999 total balance. We are talking about $9387.75 penalty on $2 more in the account !!! What I read this kind jump penalty ? "Ya, you are screwed -- so what !" It is like mafia style !! Do nothing and remain out of compliance and at high risk. Keep in mind the non compliance begets more non compliance until you clean it up.The high risk is from potential maximum penalties and possible criminal sanctions. Do Quiet Disclosure with uncertainty and risk. IRS says criminal sanctions are possible here plus you do not get reduced penalties of OVDI. Do OVDI but be prepared to pay the 25% in lieu of penalty in exchange for certainty and compliance. The choices are not very heartening but that what it is. Hi all, how does one report a loan account which was taken from a foreign bank. The loan was made against a FD deposit. Can the loan amount be removed from the aggregate balance for calculating 25% penalty? And also, if the funds from bank accounts were given to family members so that they can buy assets in thir own name, does that asset needs to be included in OVDI (even if the asset is not in name of the account holder)? "Can the loan amount be removed from the aggregate balance for calculating 25% penalty?" The question is -- what would be the value of the deposit if you tried to withdraw it ? Could you withdraw all the deposit and your loan would then be 'unsecured' ? If so, then, the loan amount likely can't be removed. If you can't withdraw the entire deposit, then maybe you could claim that the deposit balance is lower than reflected on your statement. I suppose a lot depends on your specific loan agreement.i.e. are you drawing down the balance in some way or not. "Regarless, I am okay with OVDI penalty but I would strongly resent penalty on my retirement plan which Can/US has a treaty for deferal tax -- what I missed was to make an election when I became US person. IRS does provide relief for those fail to make an election in time if IRS believe they came forward to make the correction in "good faith"..."
IRS also provides that amended returns can be filed to correct problems in original returns. Can I filed amended returns with all offshore income and then say that I should not have to pay FBAR penalty because I made corrections in good faith ? I don't think so. -- File required forms for the Candian deferral. The IRS may have a hard time believing that you acted in "good faith" in forgetting all 3 of these items. -- File required forms for the Candian deferral. " Just as IRS treats all OVDI "participants" --- we are ALL tax cheaters in "bad faith" and just being lucky not criminally prosecuted.. Thank you for reminding me for being so lucky.. These three items are all related, if one knew to file f8891 on his RRSP, then he failed to report non-RRSP -- THAT IS intentional ignorance on his responsibility. So logically, it is not matter of items someone fails to report -- that is a simply/(stupid) notion -- one tax is enough. Regarding your comment on "silent disclosure", has anyone heard about taxpayers doing a "quiet disclosure" & getting audited? Probably a question for any tax attorneys on this forum. I bet there were quite a few QDs during the 2009 OVDI. if QD is done clean/complete, it will likely be some civil penalty at most even if being caught for audit. so we may not be able to hear cases like that at all unless someone shares story to the public which is highlt unlikely. Just heard a guy who filed "QD" FBAR/f8891/f1040x for 6 years (based on FBAR statute limitation) in March 2011. He got a response from IRS "issue has not been resolved, no action needed for now, IRS will contact you later". Is is part of audit ? or it is simply as part of PLR (back file to make an election needs private letter ruling from IRS) ? Note questions about FBAR and RRSP. But I agree that if someone only has an unreported RRSP, then such a person could likely get off without FBAR penalties. Anon's question about QD: We do know the IRS can detect Quiet Disclosures. What they do is a matter of policy. This would likely be handled at the civil level, and it may take years for us to know exactly what might happen. Certainly the IRS has become progressively tougher on foreign account cases. The Commissioner insisted that the 2011 OVDI be harsher than the 2009 OVDP so that people who held out then would be penalized for that. Its hard to see him allowing people to get away with silent disclosure unless they have a really compelling story. Thanks for the reference... I always thought FBAR covers RRSP (even f8891 also reference TD form).. It seems to me that IRS has ruled out RRSP as above two.. then just why ? why RRSP is so special if other offshore IRS/retirment plans could be exceptions. Talking about statistics, came across a post in another forum on "taxalmanac.org'. Don't know how reliable the information is but this just shows that people need to be more aware of FBARs. "There are roughly 10 million FBARs due. IRS currently only get 0.5 million so at $10,000 penalty per account for the missing 9.5 million FBARS the entire National Debt could be repaid in 2010 if the DOJ wanted to enforce." "There are roughly 5 to 7 million Americans living overseas; most of whom have FBAR filing requirements. There are - at a guess - 3 million US persons or foreign nationals living within the United States who have FBAR filing requirements. Numbers of FBARS filed are 400,000 to 500,000 currently so there is a significant shortfall." Sad to say, you are not going out of your mind. That would be understandable like PTSD. This is much harder to fathom. Back to your mental concern. I feel your pain. In my opinion, this entire OVDI program sprang from the legalistic technocratic approach to solving a problem. They couldn't raise their eyes from the rule book and see the Big picture or the ruin the strict application of their rules would create for small offenders. They use hammers to kill flees as well as cats. It is hard for them to understand not everyone is a high rolling active tax cheat or is as well versed or immersed in the same rule book that governs their lives. The technocratic tactics they are using with their army of OVDI auditors and technical advisors that have no discretion has created a nightmare of legalities and technicalities for those minor offenders that would like to clean up their standing on tax compliance without being wiped out financially. Making rules that cause a penalty to swing so severely for just a dollar difference between $74,999 vs $75,000 is so absurd it boggles the mind. Who would draw something that finely without allowing some discretion? To assess 20% or 25% penalties for failures to file some obscure form when the actual tax implications with allowances for foreign tax credits are not substantive is stunning. To add in assets unrelated to FBAR accounts to calculate a high aggregate balance is totally over the top. Who would make those kinds of rules? How do you get in the head of people who think and design programs like that? Why they aren't able to pull back their green shades and look up from their rule books and say, "wait a minute, this OVDI penalty structure just isn't effective, proportional, or fair?” I guess that is not possible in the world they live and think in, but a reasonable person with a broader world view would have stepped back to a 30,000 foot level and thought, “how can I get a lot more people compliant without wrecking normal peoples financial lives?” The OVDI program, as designed, with its one size fits all wasn't the right tool. In 2009, rather than take a little more time to design something that was just really specific for these Big Evasion cheats, they cast the net so fine and wide so as to sieve the ocean of all non compliant life. In my opinion, their strategy was just too broad and too harshly limiting in its “non discretion” application. This is especially so as it applies to the immigrant and expat community or other small time offenders. I am sure the real attorneys who provide valuable insights and advice on this blog think I am being too simplistic and naive in my view, but in my opinion, it could have been designed much better and brought a lot more immigrants and expats into the fold without subjecting them to the same level of penalties as the main target of the effort. I just don't understand why we have to stand in the same firing squad line as the UBS cheats in the name of OVDI fairness. Something is terribly wrong with that picture. Generally tax debts are not dischargeable under bankruptcy. I don't know if an FBAR penalty would count as a tax debt. But far more important, doing something like this would count as fraudulent and discussing it before in a public forum, even more so. The author of that comment requested by email that I take the comment down. I honored the request. However, before I took the comment down, two other persons had commented on it. To those two other persons, thank you for your interest and your comments on the comment are good ones. I have decided to leave the two responding comments up because they may be helpful to readers of this blog. IRS is so confident (with upcoming FATAC) that most of "underground" offshore accounts will be exposed. And they will have means to get much more money from those noncompliance. The jump penalty on 75K can be easily fixed (adjusted) -- and it does not cause any extra work on IRS. In my view, they just don't care because they can enforce harsh penalty outside OVDI. Unfortunately when it comes to FBAR compliance rates, and the success of the 2009 or 2011 OVDI in bringing any statistically significant numbers into the fold, the real metrics will probably not be known without a FOI request, or a GAO audit. In either case, the marketing story has already been spun in Congressional hearings and in the public that thousands have applied and millions are being recovered for the tax paper. A huge success!!! 15,000 OVDIs for 2009 sounds like a lot, right? but…. My back of the envelope calculations show only some small, almost statistically insignificant, increase in compliance rates when compared to the entire universe of tax payers that the IRS would like to be compliant. I think we are talking about single digits here especially when you factor in the entire US expat and immigrant community. But who knows, I could be wrong, or I could just make up some numbers to make my case to support my assertions. The only number I know with relative certainty, comes from Senator Levin in Congressional testimony that in 2008, there were 345,000 FBARS filed. What is the total FBARs today after all these enforcement efforts? How does that compare to the total that should have filed? Like I said, until we have open disclosure by the IRS or a GAO audit, we will never know. Maybe someone should Google or Bing this some more. I do think there is a bigger story here. But then again, it affects me, so I am bias with my self interest. If I am realistic, even if some reporter would to do some serious digging to figure it out, there probably would be a big yawn by the media. As for the IRS it would rather spend its time on technical issues to push the collections higher, not honestly re-assess its efforts at improving the admirable goal of better compliance rates. The fact of the matter is that there have been such offshore compliance initiatives in the past. There was the offshore voluntary compliance initiative -- I believe in that case, there was no FBAR penalty, just tax + interest. Then there was the Last Chance Compliance Initiative, where the penalties were relatively minor. The LCCI was in operation till late 2008. early 2009, and penalties there were much lower. I suspect that even in early 2009, before the last program, a 'small fish' could have quietly disclosed without any problems. So people did have a chance to disclose earlier as recently as 2.5 years or so back (at least offshore income, even if they didn't know about the FBAR form). And get off with no penalties. So the claim that 'More people would disclose if the penalties were smaller' rings hollow. Lets face it, many people didn't disclose (and I don't mean just big time evaders) until the Government broke Swiss bank secrecy and showed that it was serious. The velvet glove didn't bring people in, it had to be the iron fist. Does FBAR/UBS make headline news like Lindsay Lohan and Charlie Sheen ? I was not aware of that until two months ago by chance to read a Chinese news group. Certainly enforce FBAR with harsh penalty inside OVDI making the news spread much fast, I passed at least 10 folks who were also never aware.. The FBAR may not be well known, but certainly the requirement to report worldwide income should be well known. Other countries have the same laws. Canada does too. If someone has not filed FBARs, but has reported worldwide income, then there is no problem at all. then offshore under report (even after withold tax paid to the offshore country) should be treated as other under report because FBAR was not so "well known". Just to make it clear, I have been paying tax on my offshore accounts either to offshore contry thorugh "withold by offshore" or to IRS. I was certainly wrong to use offshore credit -- the root of the problem is not use f1040ab to list all -- then it would likely lead me to read FBAR. For me, file return every year takes less then 2 hours like "wham bam thank you ma'am ", and I don't ever bother to take any credit that I should. Being stupid/lazy -- that leads to this trouble -- but still have my decency to join OVDI and ready to pay. If someone really has a good case, they can try and opt out and argue against penalty. Then they might have to explain why they didn't tick that Schedule B question asking about foreign accounts. Even not reporting domestic income with false statements can get you into serious trouble. The FBAR penalties are harsh, but certainly one would expect a well-educated taxpayer (expat, American, immigrant) to be aware of it after 2008-2009. UBS got a lot of coverage. Anyway, that is what my problem is -- certainly a quick/lazy job on return -- even not claim some credit like Schedule M.. If this was really a big issue for the IRS, they have the best marketing tool in the world, called the front page of the 1040. A highlighted note about foreign account reporting and FBAR requirements would have done the trick. There would be no ignoring that, and it would have reached everyone! I read somewhere, that some Congressional committee recommended exactly that type of publication effort, but the IRS ignored that advice and still does. I understand that Practitioners might be aware of these issues and argue that the IRS had given lots of time for folks to figure it out. That is their job to know, and that is what they do, tract every rule and reg issuing forth from on high or follow every court ruling. That is why their advice is so valuable and worth taking now. The 2009 effort only got on the radar screen for many only because of UBS indictments and as a result there were stories on all news networks about the attempts to get the Rich to disclose their "hidden" accounts. It was an NPR story that caught my attention and led me to the OVDI. I am not rich, so it took a little while for it to sink into my dense skull that in spite of the Rich characterizations in the story, it had implications for me too. Previously, I had never heard of FBARs. Period. It is a very hard and expensive life altering lesson to learn. As far as the comments about other countries requiring folks to report foreign earnings. That is true, but the have a concept of Tax residency, and don't follow you to Mars where you now live to collect your taxes just because you carry their countries passport. I think the US is unique in this regard. To finally end the US taxation on your earnings in another country, you have to renounce your citizenship. willful intent to hide money with these accounts. "s far as the comments about other countries requiring folks to report foreign earnings. That is true, but the have a concept of Tax residency, and don't follow you to Mars where you now live to collect your taxes just because you carry their countries passport. I think the US is unique in this regard. To finally end the US taxation on your earnings in another country, you have to renounce your citizenship. " My comment was mainly directed at previous comments by green card holders who were US residents and who were upset that the US wanted to tax their earnings in their country of origin. In that respect, the US is not unique at all. The US is indeed unusual in that it wants to tax US persons even if they are in outer space (really -- earnings in space are taxed as US earnings). Although I have heard that the UK is seeking to do the same. And even revoking US citizenship doesn't end US taxation if someone is a 'covered' expat. willful intent to hide money with these accounts. " That's not uncommon in the US as well. But in general, lots of "related party" transactions are dealt with specifically in the IRC and transactions are disallowed in such cases. I'm sure its the same in India's tax code as well (I have read about special provisions regarding 'clubbing' of income in India). In any case, I was speaking as a skeptical IRS agent likely would. Inside the OVDI, it wouldn't matter since they are only interested in getting money. But under 'traditional' VD or (especially) in a normal audit, I would expect strict scrutiny for anything that seems to indicate wilfullness. IRS announced a 90 day extension of time for OVDI applicants to complete their submissions as long as they can demonstrate that they have made good faith efforts to obtain and submit all the required documents. There have been quite a few updates to the FAQ yesterday, specifically addressing instances of how cases would be handled if the taxpayer opted out. Any idea if FAQ 52, point 3 example 1- released by IRS today would possibly apply to US citizens who filed the US tax returns as well? So they reported off shore income on off shore tax return and US income on US tax return. However they were resident in the foreign country? Just a comment back to you. I do appreciate that you speak here like a skeptical IRS agent would. I may not like the answers, but it is an important perspective, especially for me, who for the first time my 63 years of life, have been introduced to this legalistic technocratic IRS world. It is an eye opener. It is strange to find oneself on the wrong side of the law/rules when you don't feel like a criminal. Never been in this situation before. It is hard accepting penalties being imposed, when the logic of the application of these penalties escapes me. I am sure I have exceeded a speed limit in my car, J-walked across a busy street, or failed to report some cash lawn mowing revenues in my youth. However, one never expects that those types of minor infractions to lead to jail time equal with the person who is robbing the bank. Your perspectives here help me deal with the realities of how the skeptical IRS thinks and how they apply rules. Their thought process is obviously a lot different than mine. However, thinking about it, if I worked for the IRS as an auditor, and was immersed in that culture, I bet I would be infected with the same mindset. That is what happens in bureaucracies, in the corporate world, and in church for that matter. The problem for folks, like me, is that we did what we thought was the right thing to do once our errors were fully understood. We entered the OVDI through the front door. The IRS then used its technical rules to double the highest aggregate for the 20% OVDI application to include our retirement home that had some relatively minor rental income. That was gob smacking revelation of how the game works. Now I can't seem to find a viable back door exit that doesn't potentially have even more severe consequences. I read this blog to get a dose of reality and the IRS / practitioner perspective. Thanks for your contribution. Otherwise I am just talking and arguing with myself. In that confining echo chamber, I get pretty upset with how this whole OVDI is administered, and how broadly the IRS defines "willfulness" to encompass most every human action. It creates a perfect world for them to pick and choose from a menu of technical rules to asses absurd penalties for what I consider to be a pretty minor transgression. I have voluntarily corrected my errors. My reward for joining the VD, is I get to stand in the same firing squad line with the bank robbers. Go figure. In 2009, the IRS decided to cut down few (5000) big UBS trees in the forest. I just wished they hadn't chosen clear cutting as their OVDI "fairness" method of choice. Just for the record, I am not an IRS agent (skeptical or otherwise). You may want to check the updates to the IRS FAQ today to see if you can get your house excluded and get a 5% penalty (but you have to have lived outside the US and had less than $10K of US source income). Also, the opt out process is described in detail in a memo today. Look at it. In your case, its very possible that you might get a reduced penalty. Certainly if the maximum non willful penalty < your assessed penalty. Read the disclaimers carefully prior to opting out. You need to be sure your facts are bullet proof(whats been submitted to this point as well as what could possibly be looked at). I think it would be prudent to have a pro analyze your situation to quantify the potential outcomes. If IRS was doing this to help the disclosing population they could simply give the result that was best for the discloser. There are so many ways that these disclosures can be picked apart. Opting out likely will trigger extreme scrutiny of every detail. They want the most money in the easiest way to get it. Thats what the program is about. Question: About the new 2011 OVDI op out. Are FBAR penalties outside the OVDI calculated by each individual account, or by FBAR failure for the year which covers all account? Looking at the examples the IRS provided, they talk about 1 year, and 1 account, so not really clear to me. What happens if there are 2 years and multiple accounts? Assume a non willful FBAR failure and there are no other unreported income issues to complicate the Opt Out. All disclosures honest, open and complete. We had 6 accounts (certificates of deposit) in the bank in the country we are living. We don't qualify for the 5% or 12.5% reduced penalties of the OVDI. Just having a hard time figuring out how to calculate comparisons.. I have had UK bank accounts aggregate balances that exceed $10,000. I will need to do FBAR reporting for those years, and maybe only FBAR reporting. I am a US citizen and have reported all interest from the accounts. I have been receiving $300 per month UK pension deposited into a UK account that I was told is not taxable to UK and US. I now question that. If I determine that the pension is taxable to the US, should I go OVDI? File delinquent FBAR first for the last 6 years due to statute limitation on FBAR. No tax due from the bank account (explain that earning from this account has beee reported on US return). Then separately file amend (1040x) for last three years (if $3600 is less than 25% of your total income for the last three years) or for the last 6 years if $3600 is more than 25% of your total income of last 6 years), to report this pension income. NO FBAR this time and this is correction on income (nothing to do with financial interest (also explain what is your correction --- earning from pension not from banks.. Note, this is just for discussion --- by no means you should take it as professional view..
With regards to the comments about UBS big fish; word on the street (in Switz) is that it was their smaller fish that they tossed to the IRS wolves. Remember, they only had to offer 4,500 accounts, not ALL of the accounts that met IRS criteria. Large fish were kept well fed and safe away from IRS. Widower learns that his recently deceased expat spouse had offshore UBS account (from non-US income) of +$2million held with a foreign trust prior to arrival in US. Joint tax declaration after marriage did not indicate this on 1040 and no FBAR filed. Account now has zero balance following distribution of assets to non-US family members per trust covenants. OVDP FBAR penalty alone of 25% of highest balance in last x years could cause technical bankrupcy. Lower penalty not available since some distributions were made in previous years. Simple tax adjustment plus penalties would not be an issue due to poor investment performance. I have three general questions. 1. Can you recommend or tell me how to find a good attorney near Richmond VA or OVDI? 2. After discussing my situation with him if I do not move forward with him, can he turn me in? 3. I sent after tax money to my home country since 2004. I may have filed one or two FBARs but not sure if mailed them or not. I was in doubt if even need to file them but may have filed them just as a precaution but not mailed regularly (not last three years). Can this crate trouble if I do OVDI? Howerver, even if you did report your offshore account income, but you did not put it in the right place (as interest income), along with other under report income (in case your pension is taxable), then it would be hard to make IRS to believe you that you had reported income from your offshore account. Another note I want to make is that for US immigrants, dual tax compliance seems to play an important role here. For an US immigrant, the offshore account may be tax compliant in the foreign country but if the income hasn't been reported in US, then it is not considered tax compliant, which is exactly what has happened to many immigrants like myself. Unfortunately, the penalty structure is still brutal as not many fall under the 5% slot. I wish that the IRS had a special penalty structure for such accounts because most of the tax evaders "intentionally" opened offshore accounts to evade tax whereas many immigrants either inherited or were required to have the accounts because of their ties with the country. As an immigrant myself, I would like to see the US implement some kind of system where an immigrant knows before he lands on US soil, that he needs to disclose all offshore financial accounts ; maybe have a simple checkbox in the immigration form 'Do you own accounts in your home country?'. If 'Yes', report them when filing taxes. Only applies to people who come to the US to work. An immigrant's CPA may not know about the immigrant's status & may not ask the question when filing taxes & that results in trouble for the immigrant but not for the CPA. Believe me, this is a very common mistake and probably affects majority of new immigrants. The entire OVDI probably has affected such immigrants more than the real tax evaders. It is the lack of knowledge about the rules that now is causing people to sacrifice their savings. I have a question regarding the 2011 FBAR OVDI program..I happened to have two accounts - The total amount of money was never more than 65K, but this money was transferred back and forth between accounts - so it is possible that for some years (under the OVDI program), both accounts had a "highest" balance of 65K. Is the 12.5% penalty against the 65K or do I have to pay it against 130K (although I have never had that much money)?? I would be very appreciative of any helpful response or experience. I found some vague reference in a similar blog that "duplicate" amounts need not be counted towards the aggregate. Kindly help. Is it true that the penalty under OVDI is 5% on financial assets and no penalty on non-financial assets if the following three criteria are met? (a) taxpayer resides in a foreign country; (b) taxpayer has made a good faith showing that he or she has timely complied with all tax reporting and payment requirements in the country of residency; and (c) taxpayer has $10,000 or less of U.S. source income each year. Please comment on the following scenario: (a) All three criteria in FAQ 52 apply and a taxpayer falls in the OVDI 5% bracket. (b) Taxpayer was added as joint account owner of spouse in 2008. (c) Spouse is not a US person for tax purposes. (d) Max dollar amount on the joint account was $20K in 2009. Question: under OVDI, is taxpayer liable for 5% on $20K or 5% on half the max dollar amount? (That is, 5% on $10K = $500). Could someone please point me to a site that clearly states all the penalties a taxpayer might be liable for if he does not participate in the OVDI and is audited later on. No foreign entities set up, aggregate balance overseas more than a million dollars, all tax paid money taken from US, all taxes paid in the foreign country, and the taxpayer is compliant 2010 tax year onward. states- On February 24, 2011 the Treasury Department published in the Federal Register amended regulations relating to the Form TD F 90-22.1, Report of Foreign Bank and Financial Accounts (FBAR). This Web page has not yet been updated to correspond with the new regulations. The Web page will be updated as revised information becomes available. But I cannot find the 'amended' regulations. Also does 'account' here mean per bank account or the aggregate value of all accounts? If the maximum balance of the account to which the violations relate at any time during the calendar year exceeded $1 million, Level IV, the statutory maximum, applies to that account. (b) 50% of the closing balance in the account as of the last day for filing the FBAR. To anono of "June 13, 2011 1:53 PM"
what is the highest aggregate balance of all accounts ? it should have been defined in math term (logically clear）， but i could not find anywhere from google search, so it is up to IRS to define its meaning. This will make sure that no duplicate funds will be added to the the total value --because in anytime the same money can not be appeared in more than two accounts at any time. ij, have you heard from IRS about your OVDI application? Wondering how the process has been for you so far. I'm just concerned about the time it is going to take for IRS to process all the applications. I understand that not all OVDP 2009 cases have been closed yet. almost 7 weeks, no words from IRS yet.. no agent being assigned to my case yet. just waiting. ij, did you send the full penalty + tax to IRS and have they cashed the check? and also, did you file everything by yourself or did you use an attorney? I did all by myself, no attorney no accoutant (according to some folks that i am at risk behind bars -:). of course, if i have a lot money i will hire attorney like jack or jonf, but i just can not afford to pay. my case is comlicated with RRSP. I sent a full check that covers all the tax due, interest, accuracy penalty and FBAR penalty. IRS cashed the check right away which is good --- so i stop the clock of interest payment. it is just your own decision.. if you end up pay more to accoutant/attorney than to IRS, i think it may be just doing it yourself. if you have a lot paper work but not a lot money involved, it is better to do it yourself. when you hire someone to do a lot paper work, it costs money. i have more than you have if including RRSP -- and i do it myself. it is simple, just a lot papery work. just think of you being a student on tax return, and your teacher is IRS agent. Well, this is a personal decision and there is no hard and fast rule or threshold. It is up to you to do the cost / benefit analysis. However, I do have a couple thoughts. You can certainly apply for the OVDP yourself. In fact, you can take it to the form 906 closing agreement if you are willing to accept what the IRS comes up with as to your penalty based upon their assessment of what is or is not an account, and what assets are included in the penalty. IE, you can just meekly take whatever the agent dishes out as right, correct, and due. It is not that hard of a process, it is just tedious with all the amendments and requests for information. You will have to deal with the IRS agent yourself. My experience is that they would rather deal with someone who is more knowledgeable than you and is your Power of Attorney (POA), as that makes it easier for them. They like someone who talks the lingo and they don't have to deal with your emotional responses to absurdities that can crop up. Where an attorney who already knows all the rules and the IRM penalty structure under 4.26.16 can really help is assessing your risk at the beginning of the process. They can also be helpful with disputes as they have more weight behind their assertions. Also, there can be situations where just doing a VD may be a better choice, and the attorney who has experience with standard examinations can really help you decide. Also, if you for any reason should you begin to think that you should Opt Out, their technical and legal brains can help you see it from the IRS view point and better asses the pitfalls. It is a drudgery, but if you print it out, in large font and take the time, you can understand it. It will stimulate questions for your attorney to help focus your decision process. It should make your time more productive. If you are not inclined to read rules carefully and understand their meaning, or if you are too busy and don't want to bother, or if you are so rich that money doesn't matter, or if your offshore account life is so complicated and you really were hiding and cheating and lying; then you are going to pay an attorney a lot of money. A good one will assure that they are not milking you and are helping you making a good business decision. You might consider just paying for an initial assessment (after reading everything above), and then pay as you go when you run into additional questions, rather than have an attorney do the entire process for you. Excuse me if this has been discussed before but is there any advantage to getting into the 2011 OVDI early so that one can file the 2010 FBAR in time? (ie. before June 30th 2011). Someone mentioned that this might even remove your 2010 aggregate high balance from the penalty calculation. You can file the FBAR by yourself, even before completing rest of OVDI right ? If that is OK and tax return is OK, or an extension is file for, 2010 should be removed from aggregate balance calculation. No, as OVDI wants you to include 2010, so you have to file FBAR for 2010 in that pacakge. As for calculation, it follows the account. If you new account was open in 2010, and you have reported the income for that account, it would not be included in the penalty base. Even for my case, I have reported income since 2008 after Canada stopped withhold tax, but I still have to included these accounts in the base because the violations in the earlier years -- when I thought withold tax was all I should pay. If FBAR was properly filed and taxes were paid for 2010 (with proper extension), why should 2010 be included in maximum penalty balance calculation ? Did IRS tell you that ? My intepretation is that if everything is done OK for 2010, it can be removed for tax penalty (definitely) and from maximum aggregate penalty. I think that was allowed in 2008. An incentive to get proper FBAR in to Detroit in time. Well, IRS gives the time from 2003-2010 when OVDI 2011 was introduced in Feb. 2011. If they can take off 2010, then why they just make it from 2003 to 2009? I did not hear from IRS, I just followed the instruction and file FBAR 2010 within OVDI. If you want to take out 2010, then you have to file FBAR to Detroit not to Austin, then IRS won't consider your application as complete. Again, I was just following the instruction from OVDI and could be very wrong. Call a hotline will help you..
why IRS applies penalty on accounts from 2003 to 2010 ? I think they know offshore accounts are rather stable -- it is not like here we can open accounts like we can buy pizza. They use this account method to get most of the money from offshore accounts. For my case, I could have paid muc less penalty if I had just put money into a new account after the fact I started to report offshore income. Now, it is just because these earlier years of noncomliance for the very same accounts when there were much less money, I have to pay the penalty on the max value in the later years while I was fully in compliance.. I have to give IRS the credit on how they make the most of money from taxpayers..
One could file the FBAR to detroit, then include it in the full package. So the full package would be complete. Certainly, there should be no 20% tax penalty for 2010 in any case. Not sure what the IRS will do. Its up to them. To remove 2010 you would have to timely file an FBAR for 2010(last day of June 2011) and properly declare the income for your 2010 tax return. You could extend your tax return until October 2010 but when filed it would have to accurately include the 2010 offshore income and have the magic box checked. I say this based on my experience in 2009. We filed a timely FBAR for 2008 and declared the income on an extended 2008 return. IRS accepted this and charged the in lieu of penalty on the high balance between 2003 - 2007. It also saved on the 20% accuracy penalty for 2008. In a technical sense you have to be careful. If you file a FBAR for 2010 before your disclosure submission is accepted, could IRS reject your submission as being untimely? Would they? Who knows? Sometimes the more you try to figure out about this program, the more questions you have. Tming is important. It is not advisable to file the 2010 FBAR before being accepted into the 2011 OVDI program. Please do not do so. The FBAR could start an investigation of your account and preclude you from joining the 2011 OVDI with bad consequences. So one has to be first accepted into the program before filing any FBAR. In yoiur comment of today at 11:37 am, you say that it is not advisable to file the 2010 FBAR until accepted into the program. I disagree. I you are going to get into the program, you can do that in very short order by filing the preclearance request which can be done with IRS notice of acceptance by 6/30/11 (or, actually the number of days in advance to effect actual filing). But, if for some reason the preclearance letter cannot be filed and acted upon prior to 6/30/11, I strongly recommend filing the FBAR unless the taxpayers knows or has real reasons to believe that he is she is not qualified for the OVDI. in that case, if i submitted OVDI package with all FBAR before FBAR deadline of this year (end of June 2011), would IRS take 2010 off from the penalty ? Or i have to file it directly to Detroit ? I have called the hotline about this question before. They said that if the correct tax on the offshore account is paid and proper FBAR filed for the year 2010, it will not be included in the FBAR penalty. I am not sure whether it still has to be included in the full package. Submit the required IRS letter and note that I was filing a timely FBAR for 2010 and was filing a properly extended 2010 return that was accurate and complete and included the offshore income. Submit my total package for the years 2003 - 2009 (assuming the history goes back to 2003) and then get it in before the deadline. In order for this to work you would have to hit the respective deadlines for and file accurate and timely 2010 FBAR and return. Obviously, the earlier you are in the program the more time you have to do these things. The hour is now getting pretty late but it still is very possible with about 2 weks left for FBAR filing. In 2009 OVDP there were rumors that IRS was refusing to take 2008 off the table even with timely FBAR and return filings. I can tell you first hand that it was not an issue in my process. "Calendar year taxpayers must include tax years 2003 through 2010 in which they have undisclosed foreign accounts and/or undisclosed foreign entities. Fiscal year taxpayers must include fiscal years ending in calendar years 2003 through 2010." If you take it at face value:you would not have an undisclosed account for 2010 if you timely file the 2010 FBAR and a return claiming the income. Also see the below article written by a respected law firm that handles voluntary disclosures. On page 870 they indicate they have had informal feedback from IRS as to timely and accurate filings for 2010. What about tax returns ? There is still plenty of time for a timely extended tax return to be submitted, but should it be submitted with the package or should it also be filed/e-filed independently ? This is a purely logistical issue, but it has some significance, because Jack was blogging on the case earlier when the IRS did not consider a return filed when it was sent to a CI agent. Plenty of time for that though. I had a technical thought. If you want to take 2010 off the table, can you use the PFIC method suggested by the IRS for the OVDI or do you have to use the regular MTM method and do form 8621s ? This may seem a little silly, but if a package goes to Austin, should you also submit the tax return independently via the regular process outside OVDI ? When will it be considered 'filed' ? Given backlog, it could well be months before an agent 'files' a 2010 return under OVDI. Jack, you said you had submitted a 2011 package. It would be very helpful if (without disclosing client confidences) you could indicate what you did for 2010 -- submitted 2010 FBAR/return outside of OVDI, in OVDI packet, or in both places. even if file all the files went to Austin, FBAR and f1040x all have the time when the forms were signed along with the package has a post stamp. So the taxpayers should be considered filing all in time --regardless when IRS will process it, am I correct ? Otherwise, if it would be duplicate filing FBAR and causes more work for IRS. Would that be a reward doing this ? I think if 2010 can be taken off the penalty, it should be considred in the OVDI package. In the 2009 program, I sent my 2008 FBAR to the regular Detroit FBAR address and the properly extended return to my regular IRS service center that I normally mail my returns to. In the OVDP submission package that we sent to CI and was subsequently sent to the examining agent we noted that a FBAR for 2008 would be filed before the end of June and that our properly extended return for 2008 would include offshore income. We filed both prior to the respective deadlines and 2008 was taken off the table. My submission was done prior to the IRS coming out with the standard submission letter. The submission was formatted based on my attorneys prior experience in doing traditional voluntary disclosures. It was very detailed and complete. In a more comical sense, some questions about 2008 came up on our end. It was funny because the revenue agent wanted nothing to do with it and told us to deal with the service center where it was filed. Thats off the table is it not? The difference in high value between 2008 and the prior affected years was about 50k so it was worth the efforts. If the difference you are looking at is minimal, it may not be worth the effort and potential scrutiny. Oh by the way, your FBAR is timely filed when it is received in Detroit or in some cases when tendered to the IRS by the deadline of the last day of June. Your extended return is timely if you have proof of mailing it by the deadline which would be October 15th I think. Double check these dates. Its technically 5 violations. But I've never heard of the IRS trying to assess more than one violation per year. Its quite likely they would run up against the courts if they did. I am sending my FBAR 2010 to Detroit today. It does not hurt anyway as my FBAR2010 was include the OVDI package that was sent two months ago. So, i could have a chance to take off 2010 on the base penalty. To all commenters on this blog. I called the hotline a few weeks back and was told that if taxes are paid accout disclosed (FBAR filed), then 2010 will not be included. I disclosed the account, paid taxes - electronically regular return and FBAR received by Detroit. I did not include the 2010 in the full package. Will this become an issue, considered incomplete? Any help is appreciated. It would be nice if IRS clearly addressed the 2010 issue. My guess is as a result of some of the abiguity, there may be duplicate filings through both the OVDI and the Detroit Center designated for FBAR. Extra work for IRS. If they clearly addressed that by filing through OVDI prior to the respective filing deadlines on 2010 FBAR and accurate return as far as penalty calculations, the issue could be clear and result in no duplications. I guess the disclosure programs are a work in progress with continual refinements. You gotta give IRS credit for even having these things and continually refining them to make them more administrative and fair. But then fair is in the eye of the beholder. If you have never heard of the IRS trying to assess more than one FBAR penalty a year, have they tried double counting of funds transferred between accounts when coming up with their highest aggregates on which they assess the FBAR fine? This is an important consideration outside of the OVDI or OVDP. did not know about FBAR etc. The OVDI reaches back to 2003. You get a break on the earlier years. You need to be able to show legal source of funds. You also need to be able to determine income from the funds through records from 2003 - 2010. There is specific information you will need in order to complete all the requirements of OVDI. Assuming you can join the OVDI and complete your disclosure, the likely costs will be back taxes from 2003 - 2010 plus interest on the backtax, plus 20% accuracy penalty on the backtax, plus 25% of the high balance of the funds between 2003 and 2010. There are some circumstances where the high balance of account penalty may be reduced. It may be a good idea to contact a tax specialist with experience in voluntary disclosure. This could add to the costs as well. There is a limited window of time to get this done and some elements of the process are time consuming. Time is of the essence if you want to take advantage of the OVDI. In the context of 'mitigation' guidelines, I have definitely heard (2-3 times) that the IRS has said it would treat each account independently for the purposes of mitigation and the maximum balance would be 'independent', i.e. transfers were not removed. In a situation where, I do not remember Fixed deposit account numbers and Bank can not provide Statements without Bank Account Numbers in this scenario what IRS wikk do for OVDI? If client go to Tax Attorney and tell all secrets, Does Attorney can submit/share information with IRS? Same thing can CPA also do? Theoretically, anyone can turn over information. Practically, both your attorney or CPA have both legal and ethical responsibilty to serve your best interest when hired by you. If you have potentially criminal issues your interests are better served with an attorney. Sounds like you need some good tax advice. I do not think OVDI addresses what to do if you have no records or no access to records. You should talk to a tax attorney. OVDI does aknowledge that records are sometimes difficult to obtain but it does not say what will happen if you can not get them. Get help. some banks don't keep records for over 8 yeras, like TD bank in Canada, it keeps up to 7 years of records as required by local law. in that case, taxpayers can ask the bank to provide such a statement, and IRS will have to accept. FBAR only requires taxpayers to keep up to 5 years records anyway..
One related question. Does IRS take practical approach or they want exact details. I have sufficient documents to arrive at the details of income and balance on a conservative basis (i.e. paying somewhat higher to IRS). Will they accept this approach? Always checked "yes" on schedule B but was unaware about FBAR and thus did not file. Had unreported income and losses but zero tax deficiency. Should opting-out be considered? Filing a false or fraudulent return - IRC section 6501(c)(1). Willfully attempting to evade tax - IRC section 6501(c)(2). Failing to file a return - IRC section 6501(c)(3). I have a question regarding OVDI FBAR related penalty. Say I remit 30K dollars ( US tax paid ) in 2008 to my bank account in native country and in mid year I gifted 15K to my parents ( no gift tax form was filed as I was unaware of the filing requirement ). So the balance in my account at the end of 2008 was 15K plus interest income in that account ( which was not reported on tax forms as I was unaware of this foreign income reporting requirement for people working on work permit ). Again in 2009 , I remitted 30K ( US tax paid ) . So the FBAR related penalty will be levied on 60K ( 30K + 30K ) or 45K ? 1. No gift tax return required for a $15,000 gift to parents ($7,500 each). 2. The OVDI "in lieu of" penalty is 25% (assuming 2011 OVDI) of the highest amount in the account for the highest year. It looks like the highest amount would be $45,000, consisting of the $15,000 carried over from 2008 and the $30,000 deposited in 2009. 3. If you are talking about the FBAR penalty outside of the OVDI, the civil penalties for failure to file are graduated according to the gravity of the offense (culpability of the U.S. person). They are: (i) if negligent alone, up to $500 per incident; (ii) if there is a pattern of negligent activity, a penalty of up to $50,000 for the pattern (not per incident in the pattern, this is not likely to apply in your sparse facts); (iii) if more culpable than just negligent but not willful, up to $10,000 per incident but with a reasonable cause exception (so, in your case up to $20,000 for the 2 years, but the IRS usually does not assert the maximum amount) and (iv) if willful, up to the greater of $100,000 or 50% of the balance in the account(s) at the time of the violation (in your facts, then up to $200,000 if it were to apply but your facts as narrated do not indicate willfulness which is very difficult for the IRS to prove and, in any event I think most practitioners would say that, even if that penalty applied it would be 50% of high amount year ($22,500)). I will like to know your opinion regarding look back period for people who are planning to opt out of OVDI or people interested in waiting and making a traditional Voluntary Disclosure? Is it 3 years ( assuming no fraud or massive under reporting ) or 6 years or depends on IRS whims ? One quick modification to your statement: it would be actually 12.5% of 45K for the situation described, as it is < 75K (which is the threshold amount of the 25% penalty). The only other point I would add is that the gift to parents has to be a bona fide gift. If the party retained some sort of control over it, then the situation could be different. 1. The lookback period for those opting out of the OVDI is whatever the statutes otherwise permit. 2. The normal statute of limitations for the income, penalties on income tax and interest is 3 years. However, if fraud was involved, the statute of limitations is open forever and if a 25% omission of income is involved, the statute is open for 6 years. Now, how far the IRS would press on the exceptions, particularly the fraud unlimited statute, is a matter of speculation (really IRS resource allocation). But keep in mind that the IRS must prove fraud by clear and convincing evidence and sometimes that is a daunting hurdle for the IRS to clear. 3. The statute of limitations for the FBAR penalty is 6 years. 4. If other tax noncompliance is involved (e.g., Forms 5471), the statutes could be different. If only a directly owner foreign account is involved, however, paragraphs 1-3 should tell you the lay of the land. The big potential penalty for most people is the FBAR penalty, not the tax penalty. The civil penalty time period is 6 (or 5 if you file correctly this year). Thank you for the modification. It is indeed the lesser rate because of the lower amount. Just moved too fast. To all, please correct or add nuance to any statements made on this blog. The key is to give good information, at least as the discussion gets refined. I have a question regarding FBAR penalty collection process, assuming that the IRS assesses an FBAR penalty in a situation where there are no Title 26 issues. My understanding is that because FBAR penalties fall under Title 31, they cannot be contested in Tax Court. Also, because the penalties are not a "tax", they cannot be collected by the IRS using traditional lien and levy procedures. The IRS must bring a civil action in district court within two years of assessment in order to collect if the taxpayer is in disagreement with the penalty. In OVDI, will they remove balances that were repatriated back to the U.S. when calculating the highest balance? That sounds about right although there may be more details and nuances. It would be interesting if some people would opt out and force the governments hand on the FBAR issue establishing more case precedent on the matter. You would likely be pitted against DOJ and I am pretty sure they would be going for blood in cases like that. On the other hand, it looks like so far the highest penalties have been the 50% penalty on those that got caught red handed. Mostly UBS accounts that ended up in a plea resolution. Its a risky proposition as the government has a lot of resources even though technically they are broke? Go figure! Do not forget that in this type of situation, there is potential incarceration on the table too. If the money was repatriated prior to 2003 it would be removed from the penalty calculation as it would not be included in the lookback years. If it was in the account anytime between 2003 - 2010 it would be included. Speculation is that the 2010 high balance can be removed with a timely and accurate filing of 2010 FBAR and return. The window for that date is quickly closing as the 2010 FBAR is due at the end of this month if you own the account. Lot of discussion on this topic here, but I don't know if anyone has a definitive answer: do we need to submit FBARs and tax form for 2010 in OVDI package to if already submitted via regular means (FBAR to Detroit, 1040 to service center) ? They should be able to call it up on their internal computers anyway at OVDI processing. Sorry for the layman question. New to this blog. If 6K was transferred from one account to another in 2010, would that trigger an FBAR requirement - even if the total value of the accounts together was never more than 6K at 'any point in time'? What triggers the FBAR filing requirement is foreign accounts that in aggregate reach 10k or higher in any given year. If the total aggregate value never reached 10k no FBAR is required but you still must report and pay tax on the earnings. Thanks a lot for your response. In my case if 6K worth of money just moved accounts (one acct closed and proceeds moved to another account), is the aggregate value 6K or is it 6K+6K=12K? I got to thinking about my childhood in another country. The neighborhood kids used to play a team version of hide and seek called Spider. In the event someone wanted to call a timeout sort of speak, that person would yell out at the top of their lungs: all ye, all ye, income, free, free, free. Then everyone that was in hiding could come out of hiding without fear of being caught or penalized. In the OVDI, IRS is yelling out all ye, all ye, income, pay, pay, pay. You can come out of non compliance but you got to pay to do it. IRS writes the rules of the game and once you decide to play, you kind of have to see it through one way or the other. Unfortunately the only side that can take the ball and go home safely is the IRS. It is 6k because the original 6k can not be in two accounts at once. As soon as you moved it from account A to account B, Account A went to zero while account B went from zero to 6k. You never had more than 6k so no FBAR. Now if you added 6k to a new account while the original account still had 6k in it the high balance of the aggregated accounts would be 12k and FBAR would be in play. Is it not amazing how the simplest of questions in this program gets you to think of more questions? That why its a good idea to have a seasoned pro help with these disclosures. Too many twists and turns and the repercussions of mistakes can be costly. Remember that even if no FBAR filing is due, taxes must be paid on all income. Is this not correct Jonf? Burden of proof of the same source money is on the taxpayers, according to IRS, so if or not it should be counted as 12K or 6K is based on taxpayer's ability to establish the link between these two accounts. For example, if the taxpayer cashed out account A and then put the money to account B, it would be hard to establish A and B have the same source of the money. As sad as it seems, there is no clear math def on what is aggregated balance ? is that simple addition ? or it should be considered account balance as function of time (t) as Anon123 suggets ? in that case, the same money can not be shown on two accounts at the same time. For U.S. passport and Greencard holders that have lived in a non-tax country such as the Cayman Islands for 15+ years who have not filed tax returns and FBARS and have no taxable income after the foreign income exclusion, would you recommend the 2011 OVDI program? If you have an undisclosed offshore account and undisclosed offshore income, OVDI is a way to clear up the noncompliance with a more predictable outcome. The penalties in OVDI are significant as the major in lieu of penalty can range from 5% to 12.5% to 25% of the high balance between 2003 - 2010 depending on your facts and circumstances. As to recommending OVDI, you should consult with an experienced tax practioner in this field. What I would recommend is becoming compliant as the developments in this area are hitting fast and hard. Assuming you have a compliance issue, one thing for sure is that you are better off disclosing than getting caught.